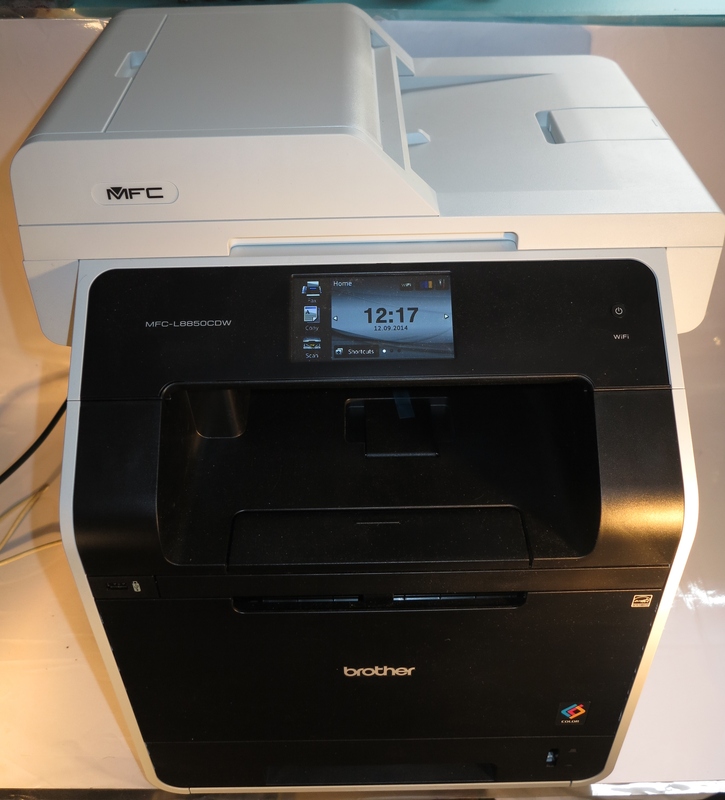 I am reviewing the Brother MFC-L8850CDW colour laser multifunction printer which is positioned as the step-up model in Brother’s full-speed colour laser multifunction printer lineup. This model is based on their HL-L8350CDW colour laser printer and is equipped with single-pass duplex scanning and a wide range of copy, fax and scan features. The Brother MFC-L8850CDW colour laser multifunction printer is based on the single-function Brother HL-L8350CDW colour laser printer and others in the series, thus sharing the same improved colour laser-printing technology as its single-function stablemate. This has all the same abilities like the quick page-turnout and the duplex printing that this series is known for where it appears to work on both sides of two pages at one time. Like other Brother laser printers and multifunctions, this unit has serparately-replaceable components for the print engine such as the drum unit and belt unit. This means that you can gain a longer service life out of these machines and their parts and can factor in these costs over the lifetime of the unit while not paying too much every time you need to replace the toner. One perceived disadvantage may be that you may run in to print-quality and reliability issues when you are using a drum unit or belt unit that is near the end of its useful life. 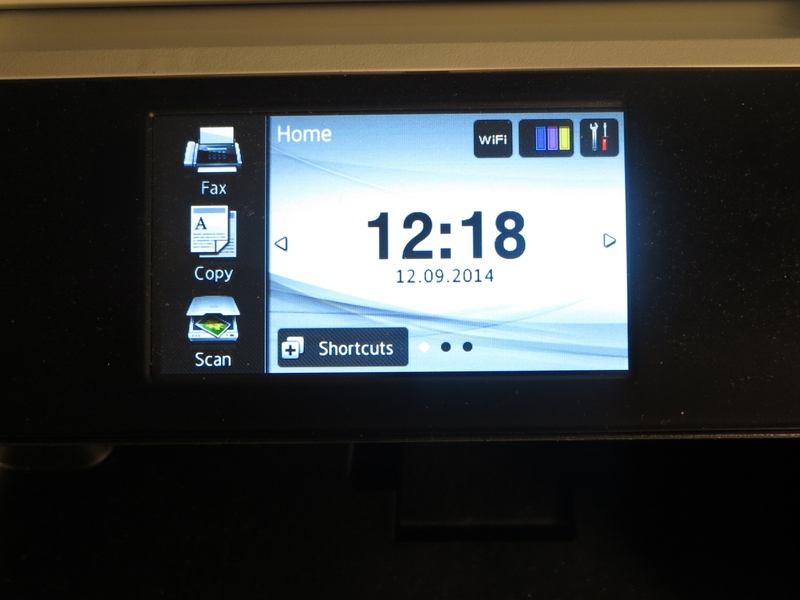 One feature I admire about the Brother MFC-L8850CDW multifunction printer is that it is equipped with a large LCD touchscreen that is its “walk-up” user interface. 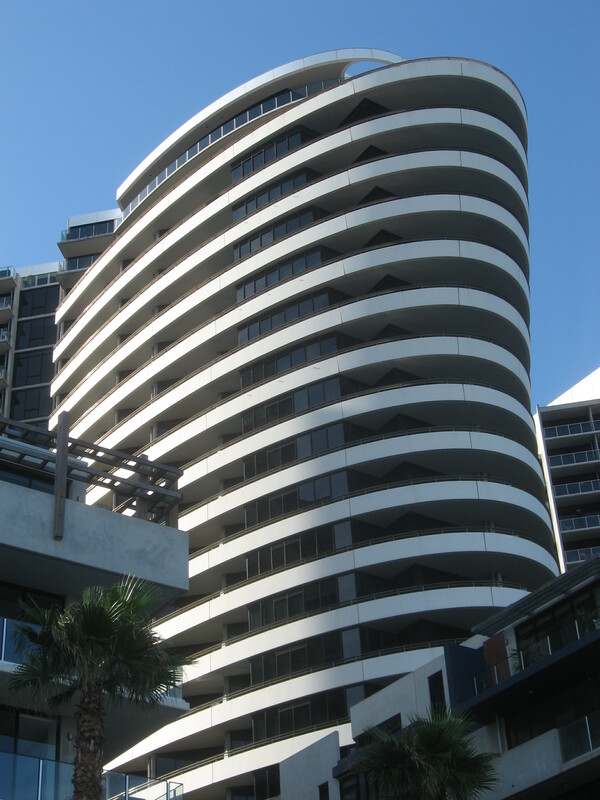 There is also a touch-operated keypad that lights up when you have to enter numbers in to the machine like dialling a fax number or determining the number of copies you can do. People who have eyesight difficulties may benefit from this because of the large display area and avoiding unnecessary user-interface clutter which is a problem with a lot of business-focused multifunction devices that are in circulation.The only niggle that some people will find with this display is that the clock display takes a few seconds to update when you “wake up” the machine to start using it. The automatic document feeder is a single-pass duplex type which scans both sides of a document at once for such jobs as double-sided copying. If you have to deal with bound original documents, this lid can be lifted up at the sides so that it lies flat on the original documents. It, like most of the recent Brother business multifunction printer range, can work as a colour Super-G3 fax machine with a regular telephone connection or can work as a T.37-compliant Internet fax machine. This includes the ability to work as an “Internet-fax off-ramp” where it can receive a fax from the Internet and send it along regular telephone lines to an ordinary fax machine. This feature is pitched at users who have multiple locations separated by long distances and want to avoid huge long-distance telephony bills for sending documents by fax. This machine’s display leads to a simplified user interface that makes it easier for people to use it even if they haven’t used this model before. This is taken from the design cues used in today’s smartphones and tablets and you have such situations as function lists that scroll sideways and one-touch access to the common tasks. 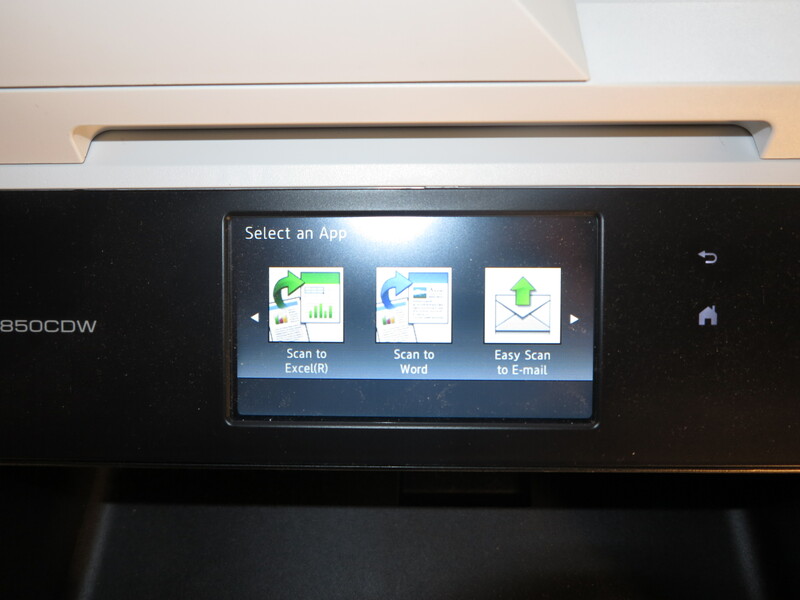 When you copy documents with the Brother MFC-L8850CDW after not using it for a while, the unit will start scanning the originals to memory while the print engine warms up to start printing. This benefits such tasks as copying many pages from bound documents or simply to have the originals returned to whoever gave them to you. 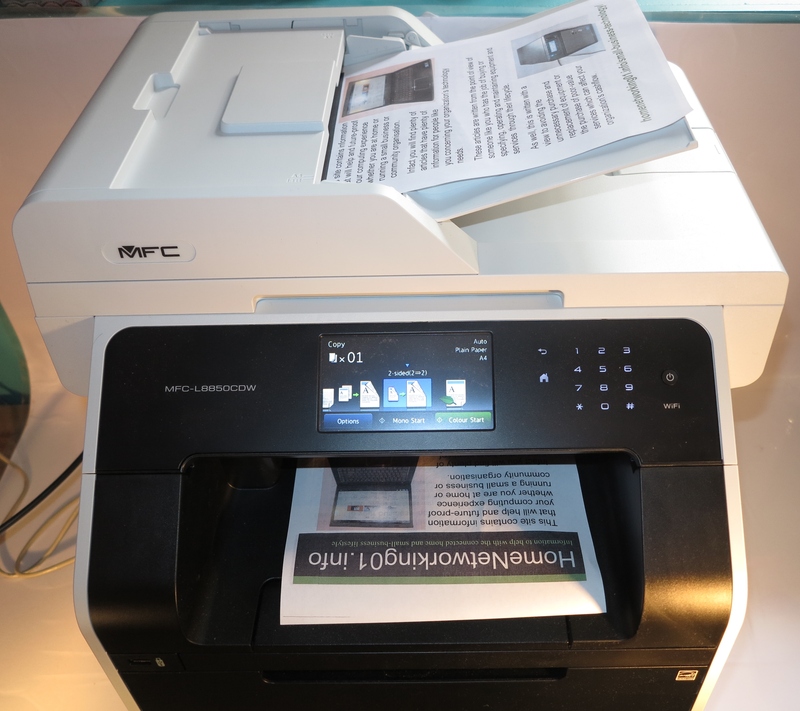 The ID-copy function is, like on most recent Brother multifunction printers, still very simple to use because you don’t have to reposition the card when you flip it to copy the other side. On the other hand, if you line up any document to the edge of the glass surface, the printer clips a few millimetres from the edge of the document which can be of concern for those documents that are “worked to the edge”. There are a variety of apps which provide extra functionality such as copying a section of text like a newspaper article. These apps also work alongside the popular online services like Dropbox, Facebook and Evernote so you can “scan to” these services. 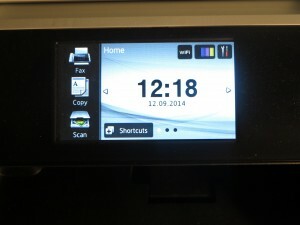 The Brother printer also supports the ability to print from these online services and the Brother Web Connect system allows multiple users to register their own accounts for each service on the same device. Furthermore, each user can protect their presence on these accounts using a PIN number. 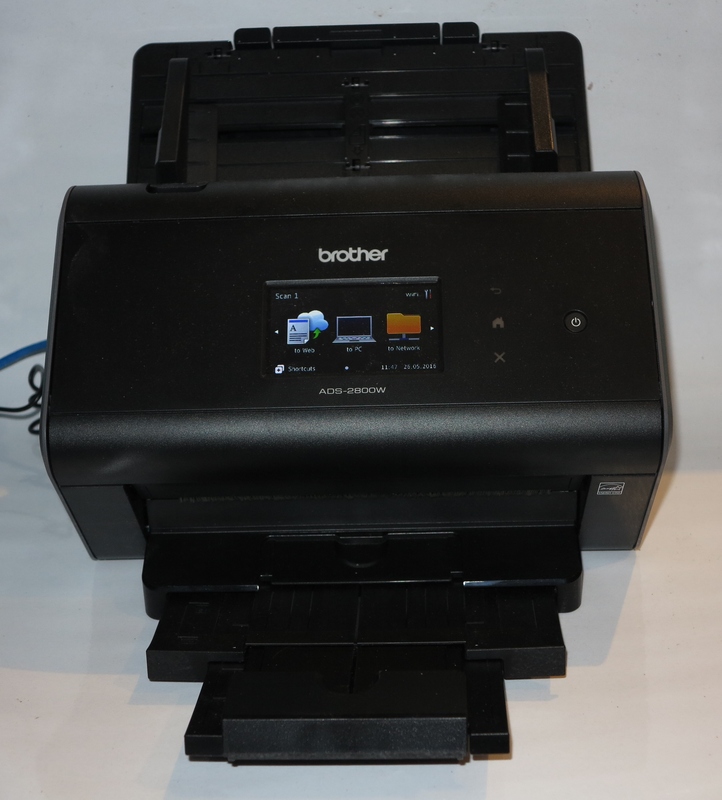 The Brother MFC-L8850CDW does work with Brother’s iPrint&Scan mobile-printing software and the Apple AirPrint ecosystem to allow you to print from smartphones and tablets. 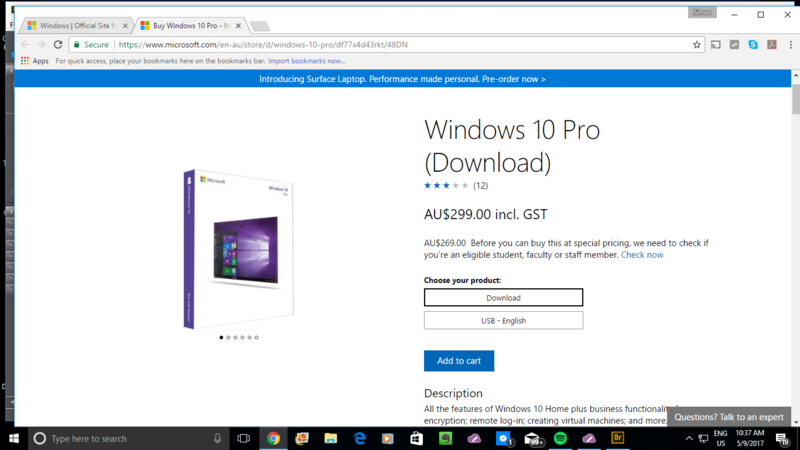 I downloaded the driver software for the Brother MFC-L8850CDW colour laser multifunction printer and had found it quick to install but you have to make sure you install the correct driver that pertains to the correct model of printer. There is the “print-options at a glance” layout for specifying how the print job should be printed and you bring this option up when you click on the “Preferences” or “Properties” option when you specify your print job. This includes rough-previewing of how a duplex, booklet or “tiled” print-job should look like. 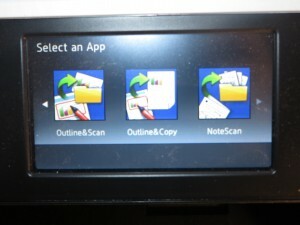 The Brother-supplied “ControlCenter4” scan software could benefit from direct access from the desktop rather than via the “Brother Tools” app and could allow you to organise the order of the scanned pages rather than having to delete then re-scan pages to achieve a particular page order for that PDF. Like the Brother HL-L8350CDW colour laser printer I previously reviewed, the Brother MFC-L8850CDW multifunction implements the “drawer-style” of consumable loading. This is where you pull out the drum unit as if it is a drawer to change the toner cartridges. 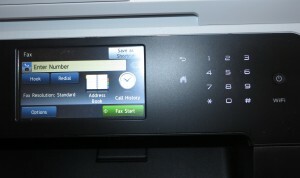 This also extends to access to the printer’s internals when you have to deal with paper jamming or similar situations. The Brother colour laser multifunction has a 6-second delay till the first page comes out when it hasn’t been used for a while. This is something that has to be expected of laser printers because of the way the toner is “fixed” on to the paper using hot rollers. 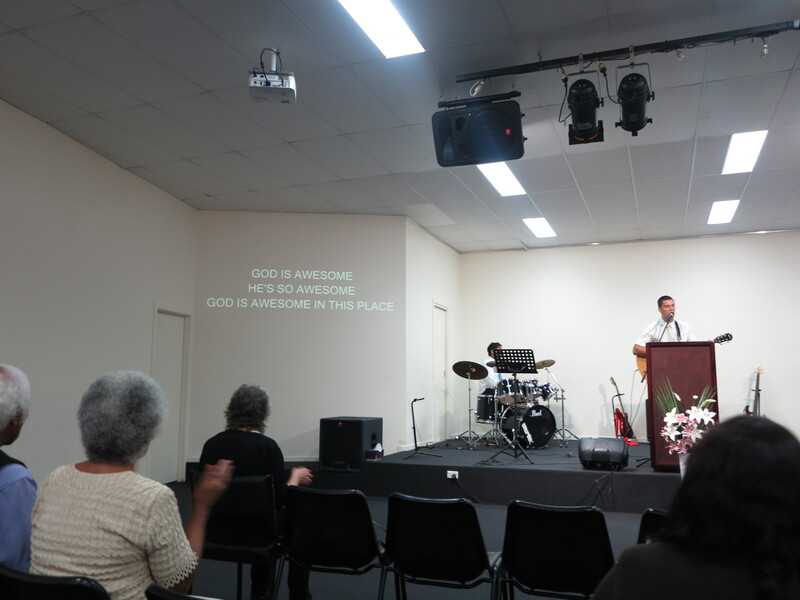 It was able to competently turn out a large double-sided document properly and reliably, although there it does pause for a few seconds after 30 pages. It may be to receive more data bot also to keep the machine’s running temperature in check. Like the single-function HL-L8350CDW and its stablemates, this Brother printer can effectively “work” both sides of two sheets of paper during a duplex-printing job. This only works with jobs that you submit from the computer rather than any of the “walk-up” printing jobs. I also had to run a batch of mailing labels on this printer and had a problem with the printer jamming. 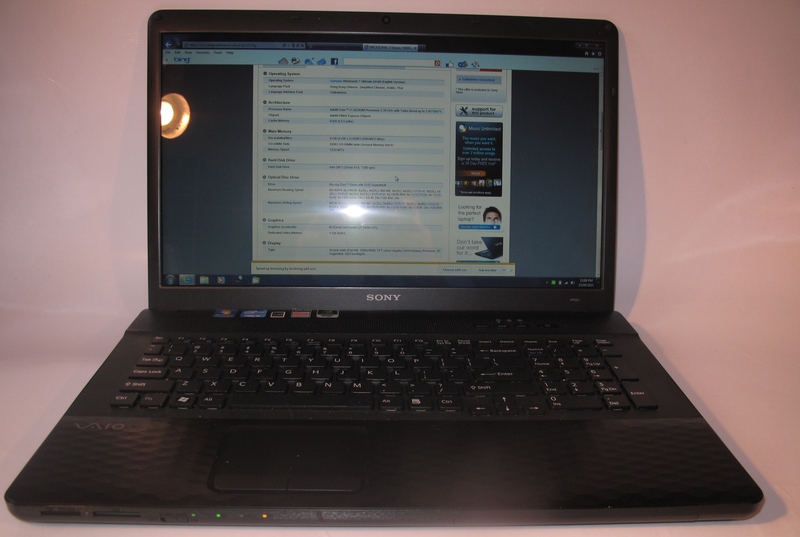 The large LCD screen showed clearly where to remove any jammed paper and this process didn’t involve groping around in dark places to remove that paper. Then I re-ran the job on some newer labels and had to make sure I was specifying labels rather than plain paper when doing this kind of run. A problem that can occur when printing a single double-sided document is where the printed document “curls up” in the output bay. This may happen when you use the printer earlier on in its service life. 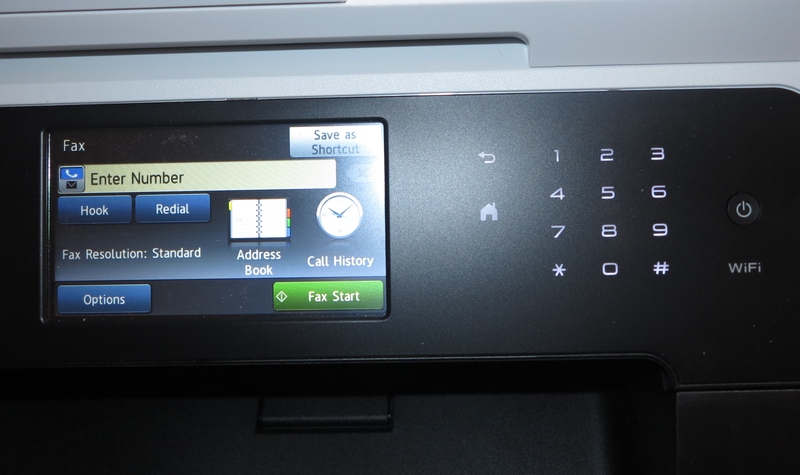 As well, I would also like to see the “quick duplex-printing” functionality where these Brother colour laser printers effectively work both sides of two pages improved to work with jobs you specify from the control panel or for continual printing of many pages. 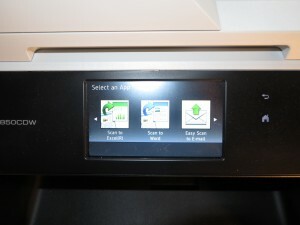 As for scanning, the Brother multifunction printers could have the scan head able to scan “to the edge” of the glass when scanning documents from the glass platen rather than the automatic document feeder. This is because most of us would line up documents against the edge of the glass when scanning them to achieve a good-quality scan. Another features that would be nice to have would be the display clock being synced to an NTP time server and supporting local time zone rules like what happens with computers or mobile devices. 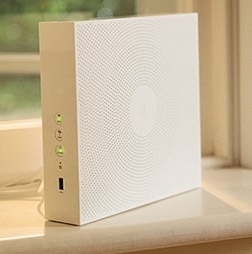 This can avoid the need to set the clock every time daylight-saving time changes for example as well as a desire to have an accurate clock for fax logs, etc. 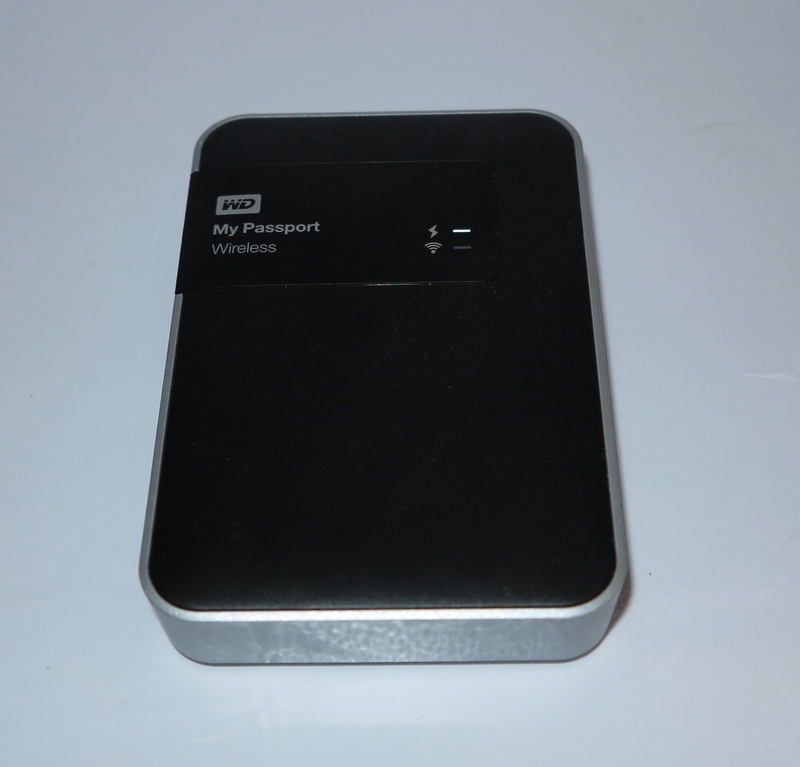 There could be a menu option to allow the USB port to work as a “plug-and-charge” USB port when the printer is in sleep or hibernate mode as well as supporting 1 amp or 2.1 amps power at that port, so as to allow us to charge smartphones, tablets and their accessories from the printer’s USB port at all times. If you are considering a heavy-duty desktop multifunction colour laser printer for that office where you expect to yield a lot of colour documents, I would give the Brother MFC-L885CDW some serious consideration. This is more so if you also expect to include the idea of scanning one or more large runs of documents to PDF and want to get both sides at once. 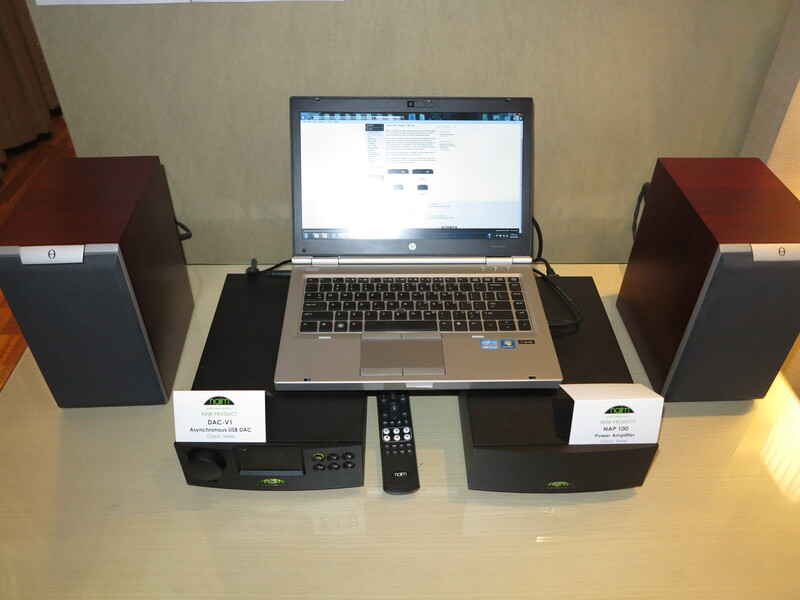 You could even consider teaming this printer along with one of the Brother A3 single-tray inkjet multifunction printers to set up an “all-inclusive” desktop printing / scanning setup for your small business, home office or non-profit organisation. Here, this unit could handle most regular A4-based printing jobs while you could run the inkjet unit on A3 jobs or those jobs that require special inkjet-compliant media.